for $209,900 with 3 bedrooms and 1 full bath, 1 half bath. This 1,644 square foot home was built on a lot size of 45.33x131.42x40.87x130.86. 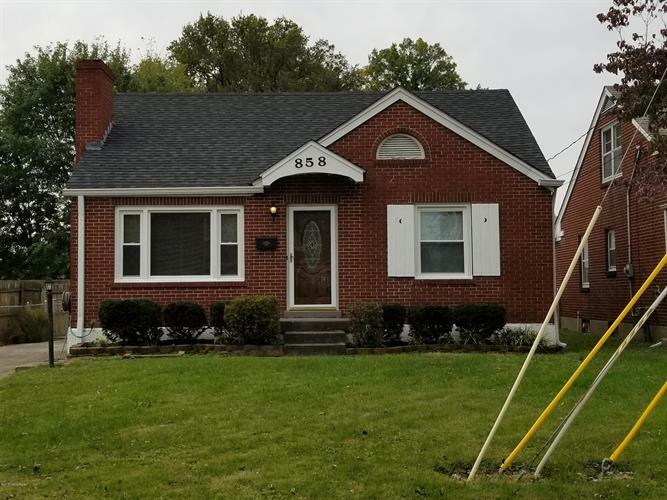 Beautiful 3 bedroom brick home in desirable area! New windows, new bathroom, newly refinished hardwood floors, and fresh paint throughout. Home includes 12x16 sunroom with a deck. 2 bedrooms on the first floor, 3rd bedroom upstairs. Finished room and half bath in partially finished basement. 24x24 two story garage with workshop on the 2nd floor. Fenced backyard includes gate in the rear that leads to a small neighborhood park.